I am an auditory learner so the idea of a podcast has always held a certain appeal to me. I am a regular audio-book listener and fond of what Brent Kelly calls “Automobile University.” I learn on my 30-minute commute coming and going to work, and sometimes while doing the dishes or home-improvement projects. But for the longest time I rarely listened to podcasts. And this can be traced back to one central reason. iTunes made me work too hard to keep podcasts updated in my phone. I don’t know about you, but I am not the best at syncing my iTunes with my phone. I don’t enjoy the ongoing maintenance of downloading the latest podcasts. It’s too much work requiring too much planning ahead. So I rarely listened to podcasts. Then along came a Stitcher. Stitcher is awesome because it eliminates all the fiction with Podcasts. Once you set up an account and download the App you are rolling. You can simply search for your podcast. Tap the “+” once and you are subscribed. Scroll through the most recent episodes and start streaming. What could be easier than that? *Full disclosure* I purchased the unlimited $20 a month data-plan from AT&T with the first iPhone and have been grand-fathered in ever since. 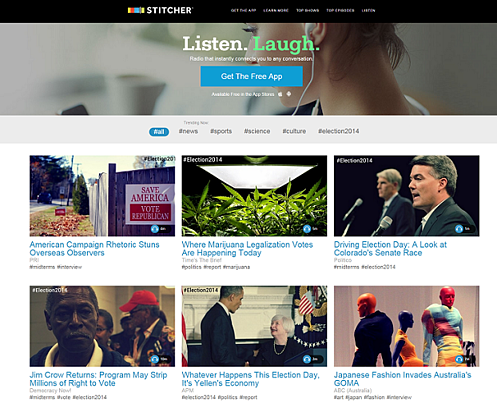 If you have to pay exorbitant fees for data…then Stitcher will be less appealing. 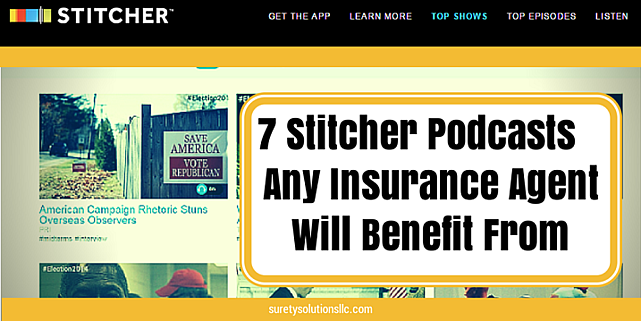 **One Gripe** There is one aspect of Stitcher that I don’t appreciate and that involves the inability to access older episodes. When Stitcher provides full access to the archives of every podcast, I will sing her praises unfettered. Until then, I am confident that I am missing out on some great content from days past. If you are new to podcast in general, or if you are well-established but curious about what others are consuming I hope this post will serve you well. If nothing else enjoy snooping into my favorites playlist. Of course, I subscribe to “This American Life” and “The Moth Podcast” because they are simply great. I take in TED’s talks here too. But I have attempted to focus this list to the likely needs of an Insurance Agent in 2014. You are likely at a different stage in your self-study journey than I. Because of huge success teaching other pool professionals how to embrace inbound marketing, has become a very successful HubSpot Partner, training inbound marketers and companies everywhere how to find success. Sheridan has become a highly sought after speaker for many marketing and business conferences globally and Author of the blog, The Sales Lion, on marketing, business, and life-success. Why should you care? Marcus made a name for himself in Local Content Marketing. He as a fiberglass pool guy in Virginia. He maximized a niche local market on his way to great profitability. If you have ever made the excuse, “I am in a niche market in a rural area so digital marketing does not apply to me” then Sheridan is walking proof you should reconsider. What will you learn? Sheridan does a great job of bringing it back to the profitability. He regularly reminds listeners that marketing concepts like Impressions, Click Through Rates, and followers don’t necessarily translate into new business. keep you centered on the answering the customer questions at each stage in the buyers journey. I believe any insurance agent can learn from Marcus Sheridan. Note: If you are a HubSpot user, his HubCast podcast (w/ George Thomas) is also a great one to add to your playlist. Who is this? 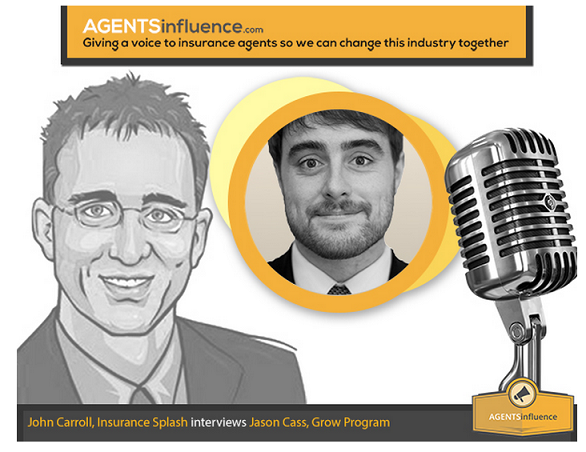 Jason Cass is an Independent Insurance Agent who podcasts for Independent Insurance Agents. Jason’s agency is in a small town (similar to Sheridan) forever dispelling the lie that local digital marketing is for densely populated areas. Why should you care? Jason understands the day-to-day struggles of local agents and consistently delivers helpful exposure and advice that will help you build your agency. What will you learn? Jason knows how to produce agency growth and his podcast leans towards the sales and marketing side of things. He is also aware of emerging tools to improve efficiencies in your agency. He is a good interviewer and always hosts great guests and discussed relevant topics. Who is this? 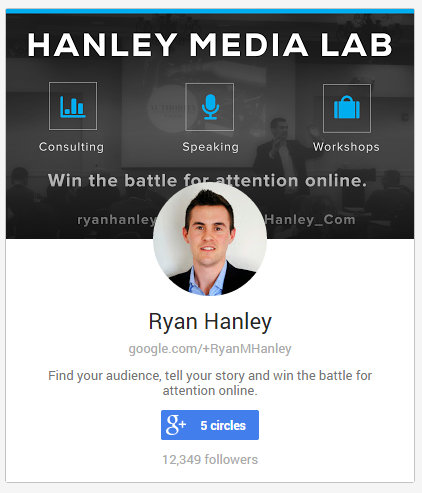 Ryan Hanley’s Content Warfare is always worthwhile and generally has an eye on the local agent. He is formerly of the Murray Group Insurance & Financial Services where he oversaw the digital presence. He now oversees Digital Marketing Services for Trustedchoice.com. Why should you care? At the Murray Group Ryan launched a content creation effort with “100 Insurance Questions in 100 days.” (Watch Ryan describe how this effort revolutionized the agencies web traffic). Ryan has also managed to bridge outside of the Insurance Space in his networking relationships. This enables him to attract guests that are “household names” in Online Marketing. What will you learn? Ryan understands Insurance and he understands digital marketing. He is an invaluable online guide in helping you generate great leads. Who is this? Tim Ferris is best known for his NYT Best Seller “The 4-Hour Work Week” which has now been translated into 40 languages. Ferris is an excellent interviewer and always seems to get the most out of his guests (which he always has top-shelf folks). Why should you care? Tim is a self-experimenter and strategist who can help you consider better ways of doing just about any process in your life or agency. What will you learn? 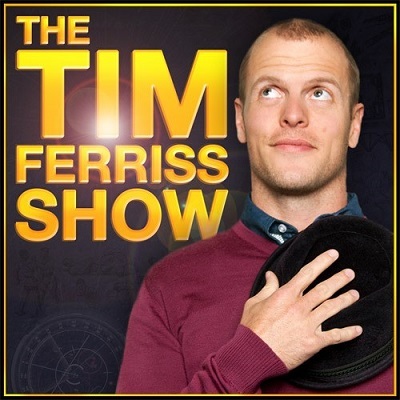 Tim Ferriss’ interests are diverse and you will, therefore, learn a wide variety of things in tracking with him. But one thing remains constant, he is always interesting and always helpful. Who is this? James Altucher is a successful entrepreneur, investor, and the writer of 11 books including the recent WSJ Bestseller, "Choose Yourself!" He has started and sold several companies for eight-figure exits. He has written for The Financial Times, The New York Observer, and over a dozen popular websites for the past 15 years. He's run several hedge funds, venture capital funds, and is a successful angel investor in technology, energy, and biotech. Why should you care? 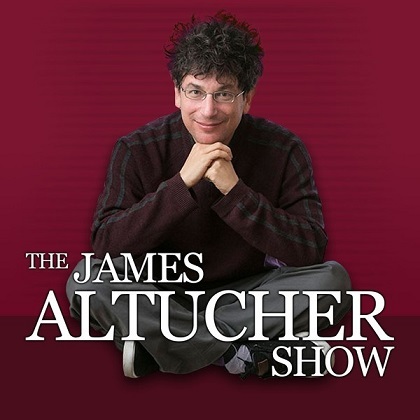 James Altucher is a generalist and a strategist. He reads incessantly and is a valuable curator of ideas. What will you learn? It’s hard to predict what you will learn, but you will learn something. Altucher probably read more books last year than you or I will read this decade. You need people like this in your life. People who consume massive amounts of information and bring forward many of the gems you can apply to your situation. Who is this? Mignon Fogarty is the creator of Grammar Girl and the founder and managing director of Quick and Dirty Tips. A magazine writer, technical writer, and entrepreneur, she has served as a senior editor and producer at a number of health and science web sites. She has a B.A. in English from the University of Washington in Seattle and an M.S. in biology from Stanford University. Why should you care? If you are like me, you could have listened better in Elementary English Class and need some work here. We are writing more than ever. Our writing goes before us and often forms other’s perception of us and our business. Your grammar needs work. 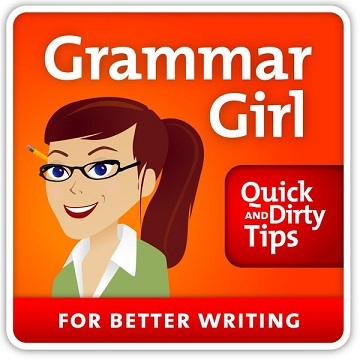 Grammar girl can help. What will you learn? You will learn the difference between i.e. and e.g. and when to use each. You will learn what an oxford comma is, when to use “vaccine” or “vaccination” or when you need periods after abbreviations. As the front-page of Stitcher.com powerfully illustrates there are more podcasts available than ever before. You can easily peruse the offering to find new podcasts that might serve you on your journey.